It’s a quarter to three on a sunny Tuesday afternoon on the third floor of my university’s School of International Business. (Note to longtime readers: yes, I teach in a business school. Rich kids, mostly. But I’m just here for the language. (English is my personal favourite.) I teach them literacy and love and great songs and joyful reading, yes, and comma faults and five-paragraph essays and there/their/they’re. Some learn.) That means that Monday night’s NCAA final between the Louisville Cardinals and the Michigan Wolverines ended about three hours ago, as we’re a half-day ahead of Eastern Standard Time where I live. 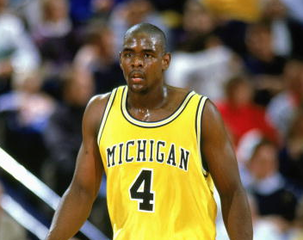 I like this ’13 team better than Chris Webber’s “Fab 5” team, but he was a superb player. 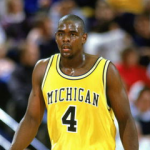 I know that former UM great Chris Webber came to the game, which was a burning question on American sports wires for a day or so. I know that Louisville’s coach, Rick Pitino, had a horse he owns win something big in the equestrian universe. I know that Cardinals star Russ Smith’s high-school coach died recently, and that emerging Wolverine freshman Mitch McGary has a learning disability and, for a while, weight problems that kept him bench-bound. What I don’t know is who won.